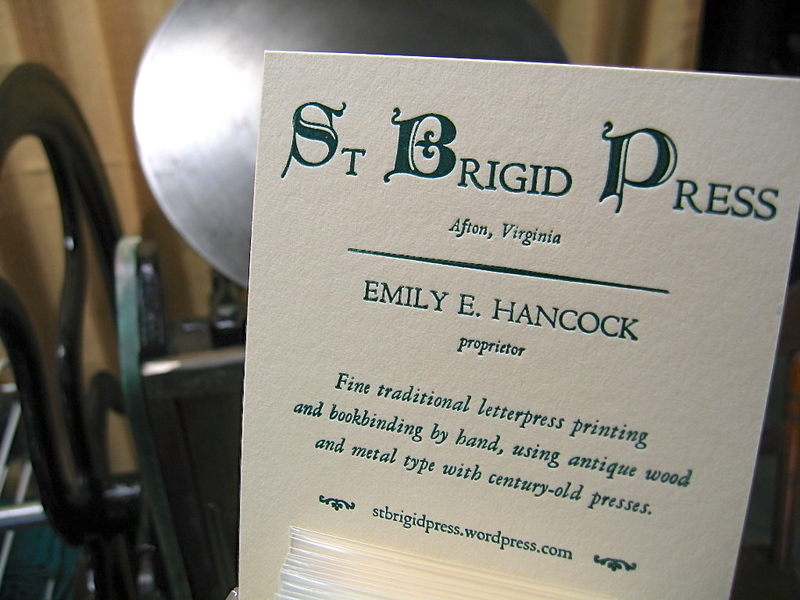 St Brigid Press STORE NOW OPEN! Warm greetings to you from St Brigid Press! In honor of "Small Business Saturday," a movement to promote the patronage of local shops this holiday season, we are delighted to announce today's launch of the St Brigid Press online STORE. Now you may purchase our handmade items directly from this website — simply click on the page entitled "SHOP the St Brigid Press Store" in the menu to the right. On sale immediately are our selection of bookmarks, holiday gift tags, and the Welcoming Prayer print. To go directly to our Store, click **HERE**. Thank you so much for your support of St Brigid Press, and we wish you a lovely holiday season! 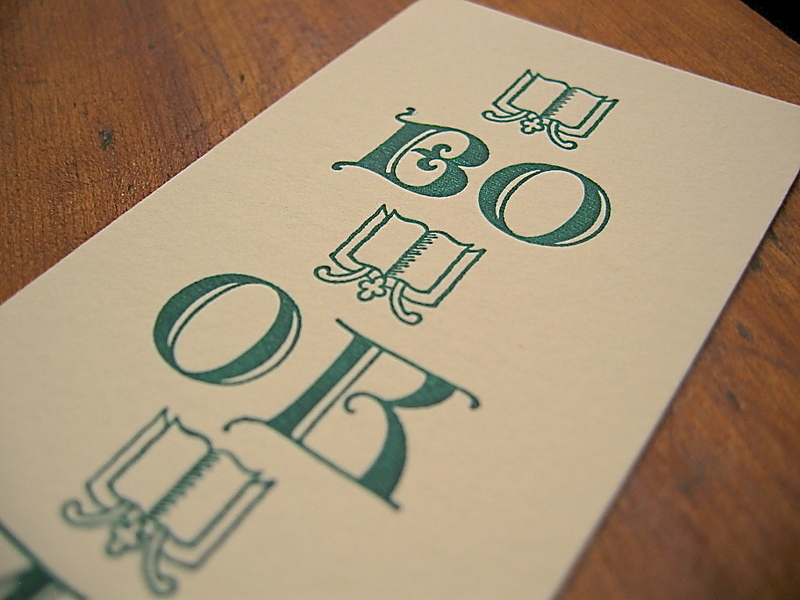 St Brigid Press is pleased to now offer elegant letterpress-printed bookmarks, in four designs. Three of them highlight quotes by William Shakespeare, Emily Dickinson, and John Muir, and one depicts the word "bookmark" in gorgeous Lombardic script with accompanying Bulfinch ornaments. All are designed, hand-set, and printed by Emily E. Hancock on the 1909 Golding Pearl treadle press. The clear "sleeves" that protect the bookmarks are plant-derived and fully biodegradable. Please compost!